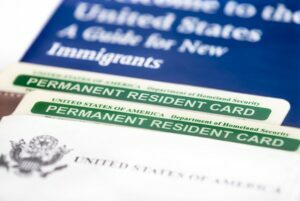 There are various reasons you may want to do a green card name change. Everyday people get married and divorced, often resulting in a legal name change. Others may just decide to adopt a more Western style name after immigrating to the United States. Whatever your reason, a green card name change is a relatively simple matter. It’s important to understand that the legal name change must take place before you update the green card. In other words, you’ll need a registered copy of your marriage certificate, divorce decree, adoption decree, or other court-issued document showing your name was legally changed. Once you have this, you can complete your green card name change. In the United States, you can generally change your name for any reason. State laws ultimately regulate names changes so the rules do vary by state. But adopting a new name is not limited by marriage, divorce, etc. You can wake up tomorrow and decide to re-name yourself. 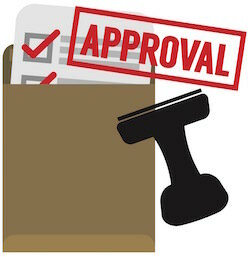 In most cases, you’ll need to file some paperwork at a local government office. There will likely be a small fee, and it may be necessary to publish a legal notice in a local newspaper to announce the name change. If you do not already have a registered copy of your name change document, you’ll need to request one. A simple photocopy is not sufficient. 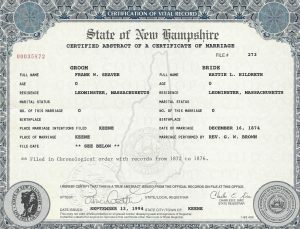 Legal name change documents submitted to U.S. Citizenship and Immigration Services (USCIS) as evidence of a name change must have been registered with the proper civil authority. With evidence of your legal name change in hand, you’re ready to file Form I-90, Application to Replace Permanent Resident Card. Use this application to renew or replace a green card for just about any reason, including a name change. 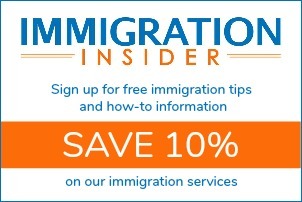 You can obtain Form I-90 from www.USCIS.gov/I-90. When asked if your name has “legally changed since the issuance of your Permanent Resident Card,” you’ll answer “Yes.” You’ll have the opportunity to enter your new name. For the reason for application, you will select, “My name or other biographic information has been legally changed since issuance of my existing card.” Your new green card with be printed with your new legal name. Several other questions on Form I-90 can be challenging for some permanent residents. CitizenPath.com offers a low-cost service to help people like you prepare Form I-90. Immigration attorneys designed the self-directed service to make it easier to prepare and help eliminate the common errors that can cause delays and rejections. 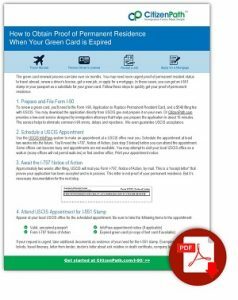 CitizenPath even guarantees that USCIS will accept your application for a green card name change. Sometimes a name change is necessary because USCIS made the mistake. It happens, unfortunately too often. Green cards arrive in the mail with a misspelled name through no fault of your own. USCIS (an agency within the Department of Homeland Security) errored. Original Permanent Resident Card with the incorrect information. A copy of the card is not acceptable. Proof of your correct name or biographical data that you are correcting. For example, provide a copy of the original court order reflecting your name or a registered copy of your original marriage certificate, divorce decree, birth certificate, adoption decree, passport, or applicable court documents. This will leave you without a green card until a new one can be sent, usually several months. You may obtain an I-551 stamp in your passport as temporary proof of your permanent resident status. Once you receive your I-797, Notice of Action (receipt letter), schedule an appointment at your local USCIS office to get your stamp. For detailed instructions on the I-551 stamp, download this quick guide. Did you know that you can change your name during the naturalization process? It’s not necessary to get a new green card first. There’s actually two ways – before naturalization or during naturalization. If you’ve recently changed your name, you can submit your legal name change document (marriage certificate, divorce decree, etc.) with your Form N-400, Application for Naturalization. USCIS will use your new name on your Certificate of Naturalization. When permanent residents apply for naturalization with Form N-400, they have the option of requesting a name change upon a grant of U.S. citizenship. This provides an opportunity to adopt more Americanized names. A petition for a name change is prepared and forwarded to a federal court during the naturalization process. There is no extra cost. The name change becomes final once a federal court naturalizes the applicant. Again, USCIS will use your new name on your Certificate of Naturalization.